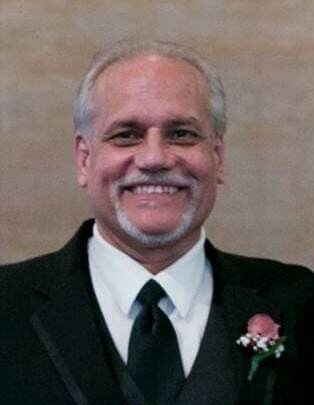 Obituary for Dave J. Nussbaum | Schaffer Funeral Home, Inc.
Dave J. Nussbaum, 63, of Defiance, passed away on Monday, October 29, 2018 as the result of an auto accident. He was born on June 14, 1955 to Richard and Helen (Koch) Nussbaum in Bluffton, Ohio. 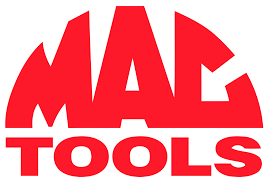 Dave was a Mac Tool Distributor for 37 years in the Defiance area as Nussbaum Mac Tools. He was a member of St. Mary Catholic Church in Defiance and was very outspoken about his faith. He was also a member of The Optimist Club, and the Defiance Eagles Lodge #372. He was an avid Ohio State Football fan, GO BUCKS! Dave appreciated the time he spent with his customers building life long relationships. He loved his family and spending time with them, especially his grandchildren. Dave will be sadly missed by his children; sons, Troy Nussbaum of Defiance, Brandon (Ellie) Nussbaum of Napoleon, Kyle (Kelly) Nussbaum of Ft. Wayne, Indiana, and daughter, Ashley (Jose) Plata of Archbold. He leaves behind five grandchildren; Toran, Tegan, Rowen, Micah and Maya. Also surviving are his siblings; brother, Greg (Sharon) Nussbaum of Glandorf, Ohio, and sisters, Jackie (Ralph) Kleman of Bowling Green, Ohio, Linda (Ron) Roof of Franklin, Tennessee, Dorothy (Rob) Brown of Arlington, Ohio, Theresa Ellerbrock of Findlay, Ohio, and Rose (Mark) Niese of Ottawa, Ohio. He was preceded in death by his parents, and brother-in-law, Martin Ellerbrock. Visitation will be held at Schaffer Funeral Home from 6-8 pm on Tuesday evening, November 6, 2018, and from 2-8 pm on Wednesday, November 7th, with a Vigil Service at 2:00 pm on Wednesday. A Mass of Christian Burial will be held at 10:00 am on Thursday, November 8, 2018 at St John's Catholic Church, with Fr. Randy Giesige officiating. A Luncheon will follow the Mass at Defiance Eagles. Burial will be held at Saints Peter and Paul Catholic Cemetery in Ottawa, Ohio at 2:00 pm. Memorials are suggested for the care of Baby Micah Fund to: https://www.gofundme.com/npzvty-baby-micah. Online condolences can be given at www.Schafferfh.com.